I’ve always been a bit baffled when it comes to the world of child seats, sometimes having too much choice can certainly hinder the decision making process. 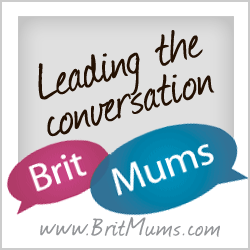 I remember buying my first baby car seat after a long chat with a lady in a department store I left feeling brain frazzled. 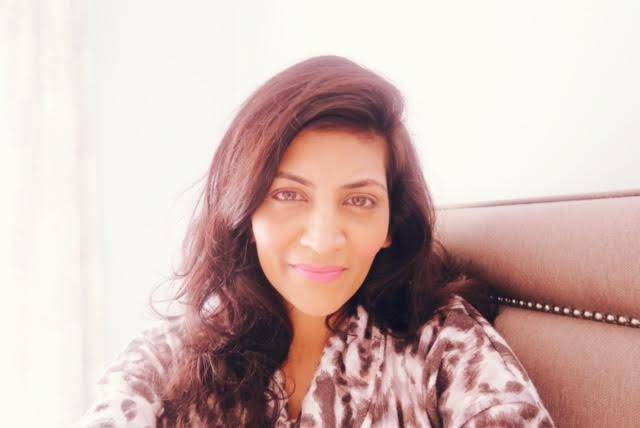 It’s just a seat yet it’s more than that of course a lot of factors to consider and as a parent to a three year old I am trying to keep up with the ever changing laws on car seats. Recently I got contacted about reviewing the mifold. The first thing I should point out is that this is seat isn’t one that Jay is going to be able to use until he’s 4 years of age but I have heard good things about the product and was curious to find out more. 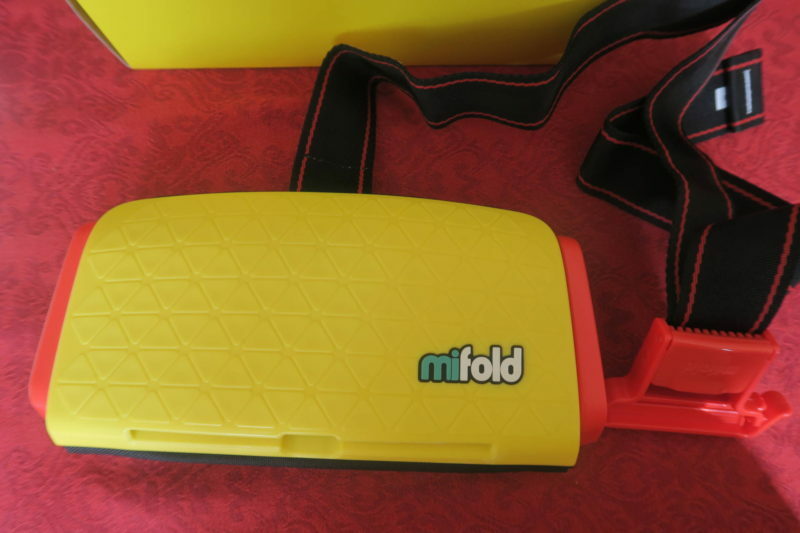 mifold Grab-and-Go booster seat is a Group 2/3 Universal child restraint system used by children from the weight of 15kg. 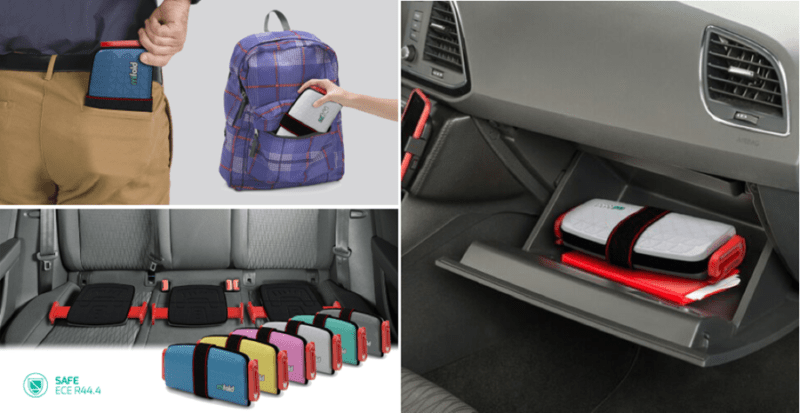 It is more than 10x smaller than a regular child’s car booster seat and has been crash tested successfully in certified facilities around the world. It’s just as safe as regular booster seats and meets the highest legal standards for child restraint systems and is approved by the European regulation R44.4 suitable for children from the age of 4 all the way up to 12 years. UK law requires that all children must use the correct child seat until they are 12 years old or 135 cm in height (which ever comes first). I like the fact that from the moment I took it out of the box the seat felt very lightweight and I can see how portable and practical it is especially if you have a smaller car. It’s great for taxi rides, car rentals 3 in row seating. 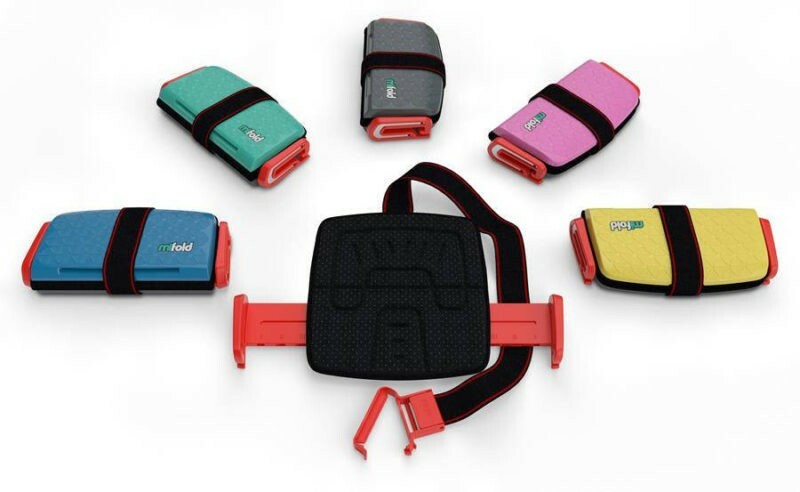 While a regular Booster lifts a child to be in the position of an adult the mifold system does the opposite and holds the seatbelt down. Although it does look really small I can see it is durable with a hard outer case and the cushion seat with supportive dense foam making it easy to clean as we know children can be messy! 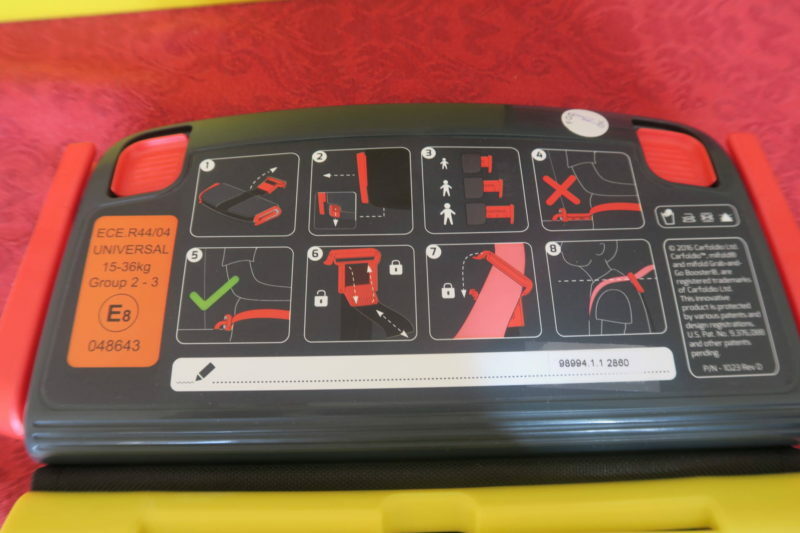 The instructions seemed easy to follow, select a width setting depending on the size of the child and then place the seat against the seat back of the car. 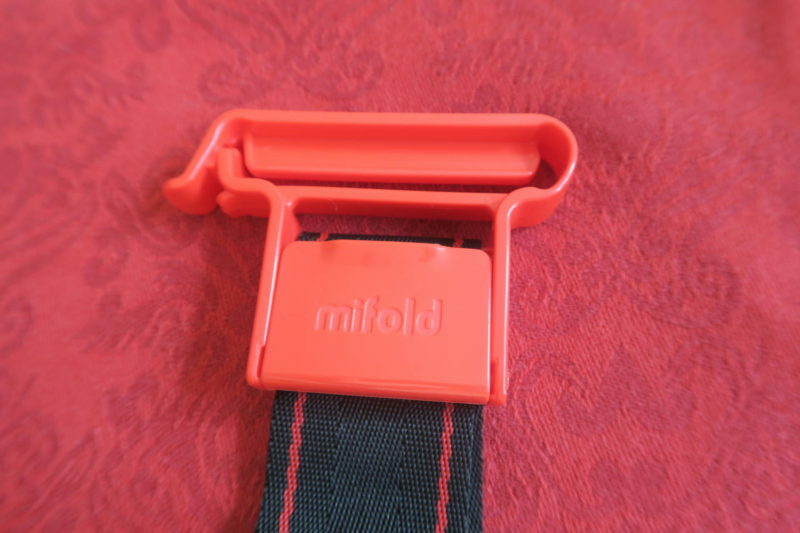 The seat belt is then fed through the guides and fastened and a mifold shoulder clip is attached to the seat belt. 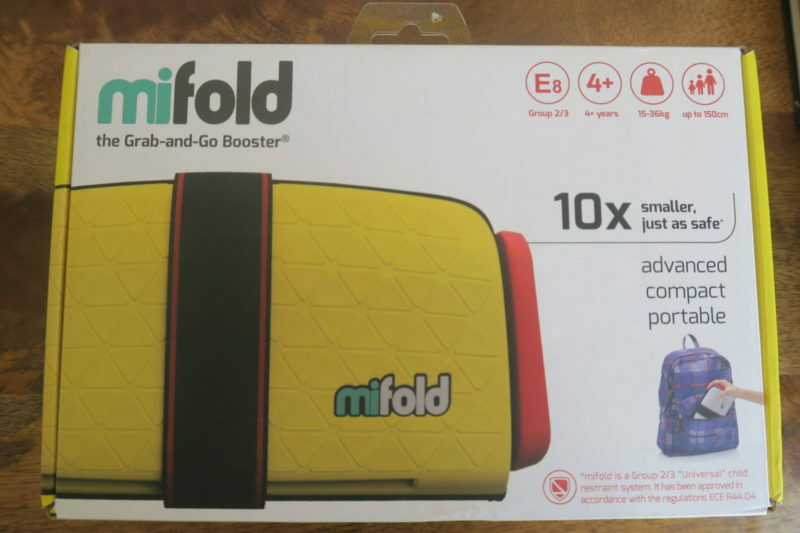 mifold is available in the UK from John Lewis and other selected retailers for £49.95. John Sumroy is the inventor of this portable cat seat, you can read an interview here and his vision is to ensure that a child can always be safe no matter whose car they are in. This is particularly useful when hiring a car or where you need to travel by taxi. We will definitely be using this next year I still can’t quite believe its smaller than an iPad! 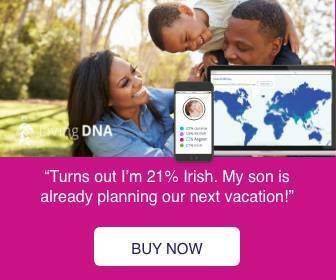 *The product was provided to me for this review. As always, all my reviews are 100% honest and all thoughts and opinions are my own.